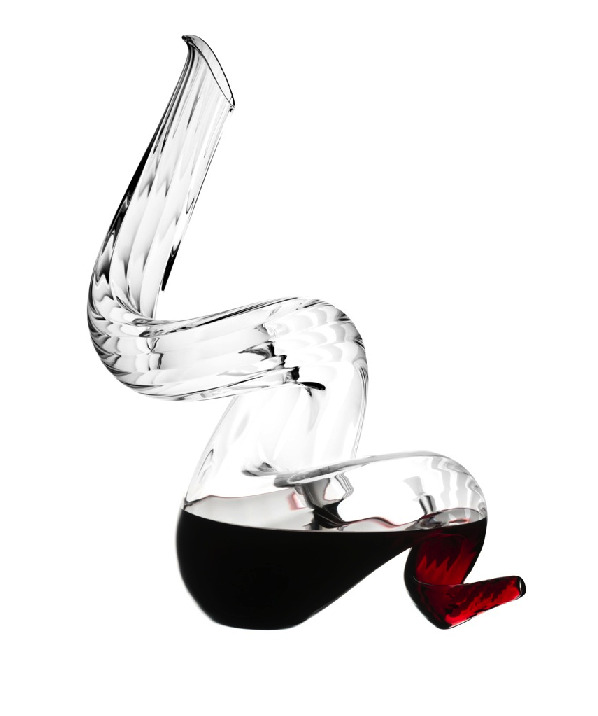 2014/01 - Titano Boa wine decanter by Riedel. This tightly coiled wine decanter allows for a double wine decanting process. In just a few seconds, the rapid aeration will help bring out the exquisite flavors of your fine wines.